In the morning, sit below the vaulted ceilings and crystal chandeliers of l'Epoque Restaurant indulging in the bountiful American breakfast buffet. With flavours to suit every palate and mood, dining at the property’s restaurants is an enticing adventure that represents the passions and expert flair of the talented chefs. The impressive Café Palace showcases a simple yet elegant décor with gallery windows through which to watch the world go by. From a wide variety of delicious dishes, savour legendary pastries and pulsating desserts accompanied by a great selection of tea and coffee, then sample tasty light dishes in the evening with a great selection of cocktails, exquisite wines and spirits. Whether planning an exclusive meeting for top executives, an impressive conference, a corporate retreat, a gala dinner to celebrate success, or a wedding reception, the Art Nouveau Palace Hotel offers a great choice of central venues, as well as a dedicated meeting and event co-ordinator to ensure that every detail is executed flawlessly. 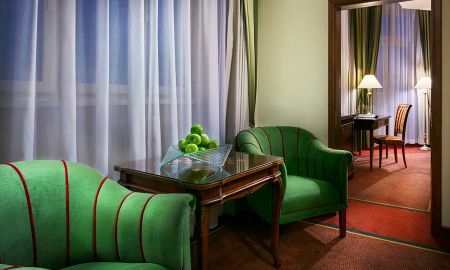 The flexible private rooms and a convention hall with a capacity of up to 200 attendees all feature complimentary high-speed internet connection. 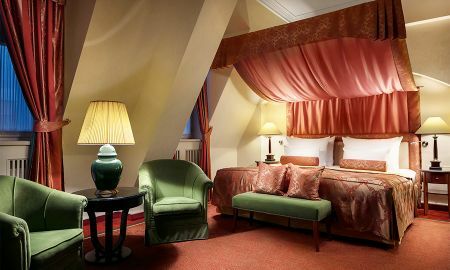 Art Nouveau Palace Hotel is situated on the edge of the Old and New Town, in the very heart of Prague. 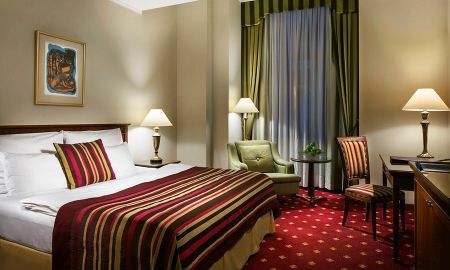 Wenceslas Square is just 450 metres away while the Charles Bridge is 1.3 km from the property. 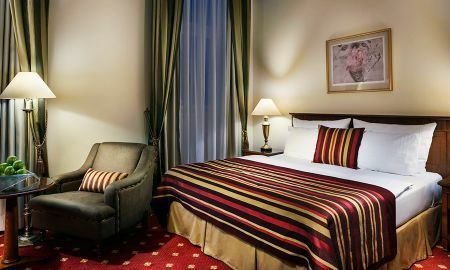 Become immersed in Prague's timeless culture, world-class shopping, and pulsing nightlife, as the Jewish Quarter Josefov and Palladium shopping centre can be reached within a few minutes. Václav Havel Airport Prague is approximately 18 km from the hotel. You'll be charged a prepayment of the total price at any time.